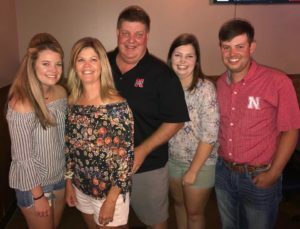 Shawn and Julie Jones along with their son, Grant are lifelong residents of Southwest Nebraska. Grant is the 5th generation on the ranch that runs on the Dundy/Chase County line. They raise Registered Angus and SimAngus Cattle with a yearly production sale. The Jones are very excited to co-chair the Cattlemen’s Ball of Nebraska along with their 2 daughters. Cancer touches all our lives at some point or another so please join them in the fight against cancer.